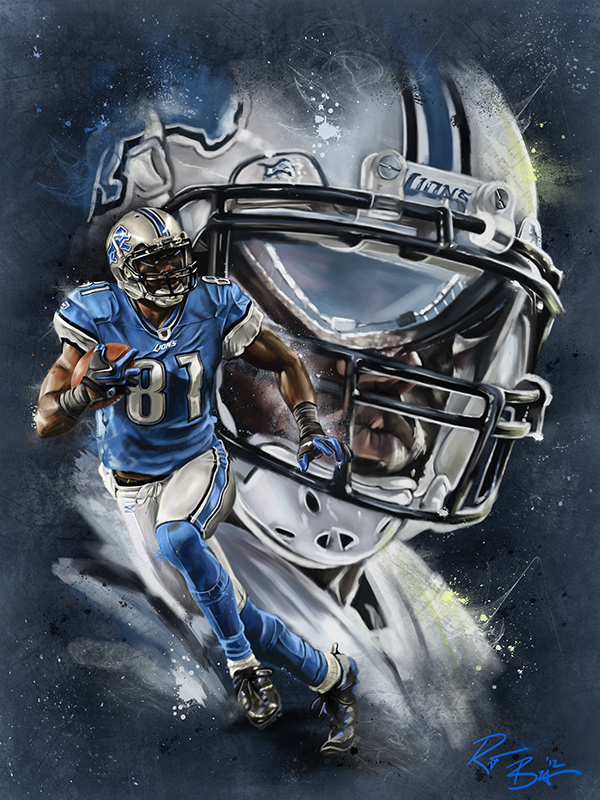 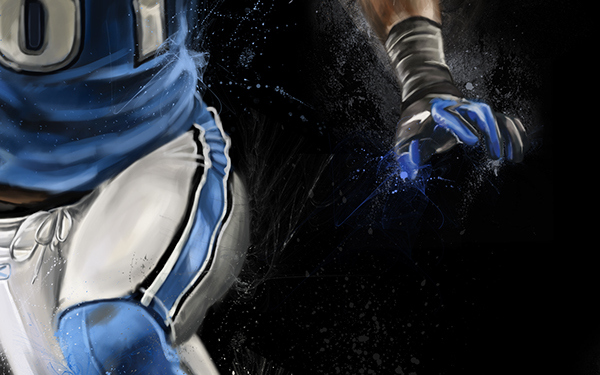 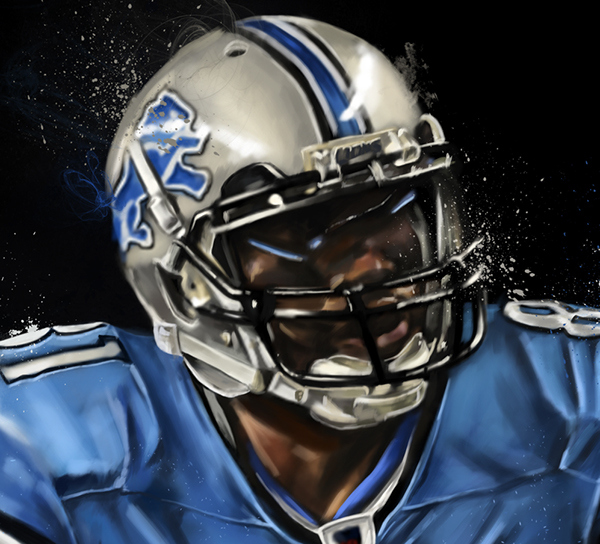 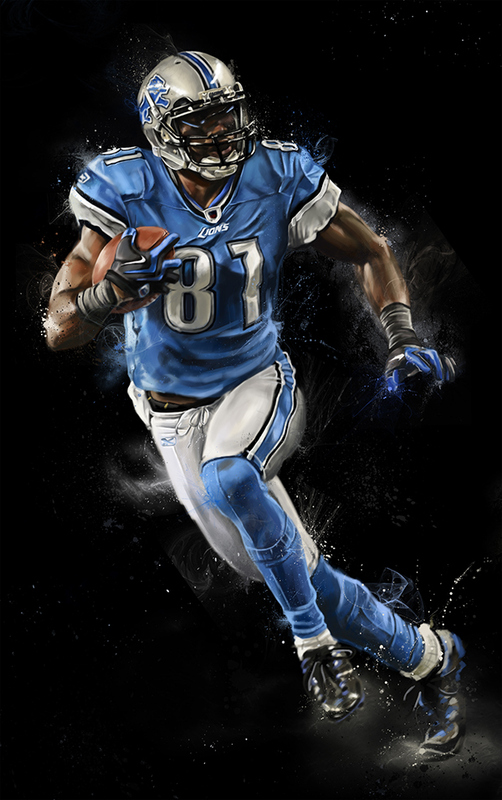 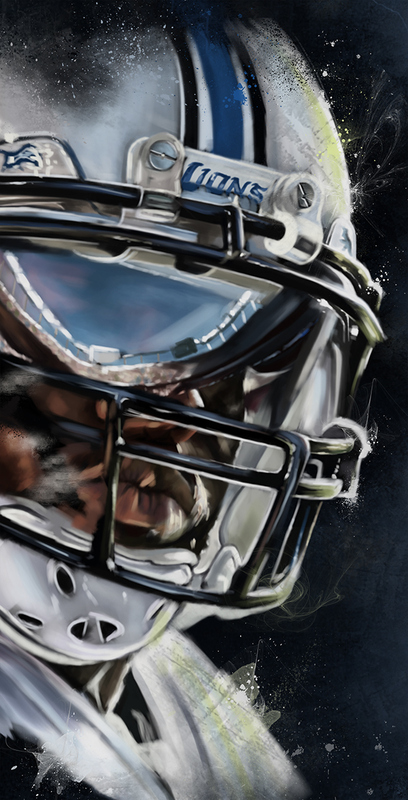 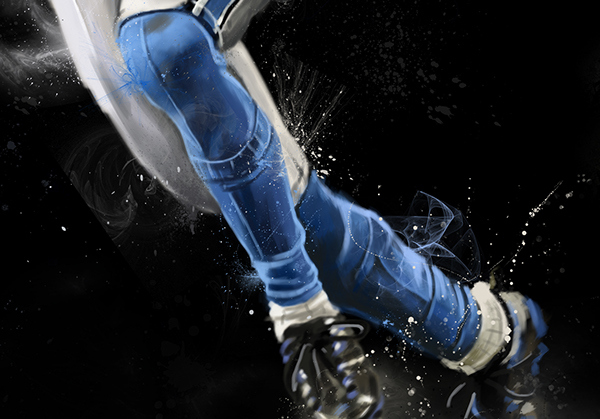 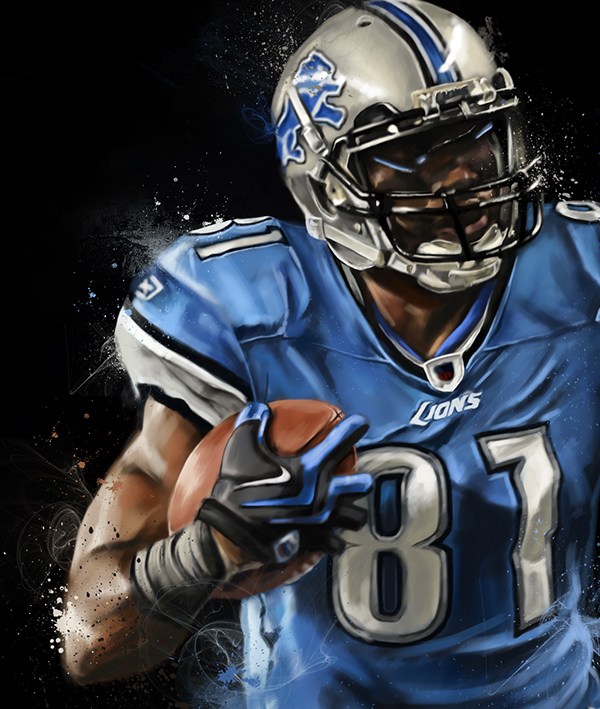 Digital Painting of Detroit Lions Wide Receiver, Calvin Johnson. 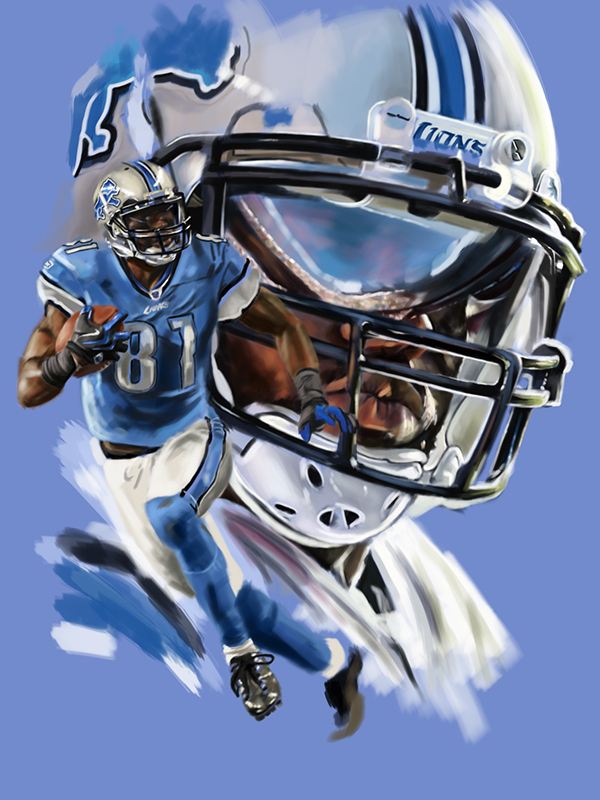 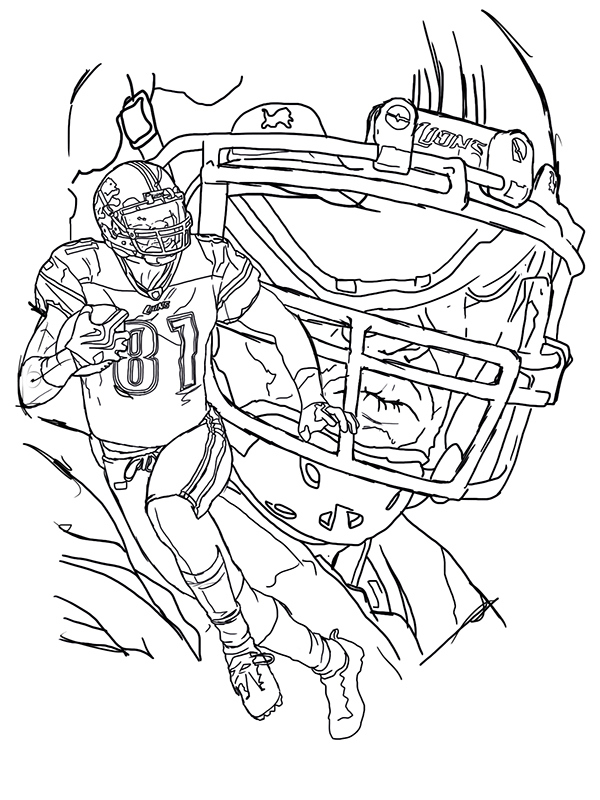 Commissioned to commemorate Johnsons 2013 Receiving Yard Record setting season. 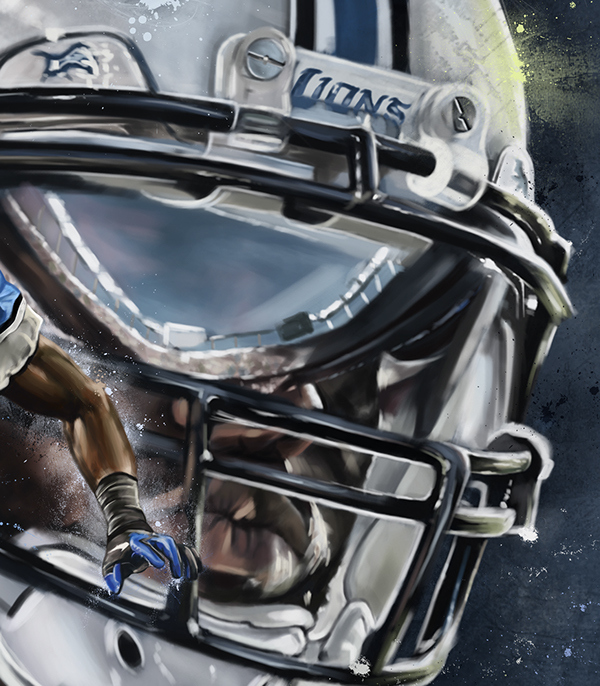 Commissioned Painting featuring Detroit Lions All Star Receiver, Calvin Johnson.